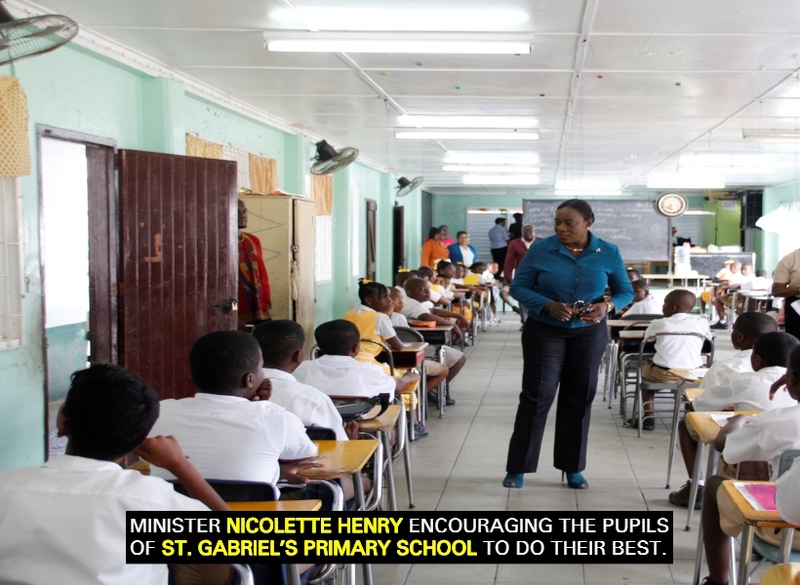 The National Grade Six Assessment started today and Minister of Education, Ms. Nicolette Henry, along with the Chief Education Officer, Mr. Marcel Hutson, visited schools around the capital city to encourage Grade Six pupils to do their best. The schools visited were Ketley Primary, St. Stephen’s Primary and St. Gabriel’s Primary. Minister Henry advised the pupils to ensure they read and understand each question on their examination papers before attempting to answer, to relax, and to not let nerves get the better of them. 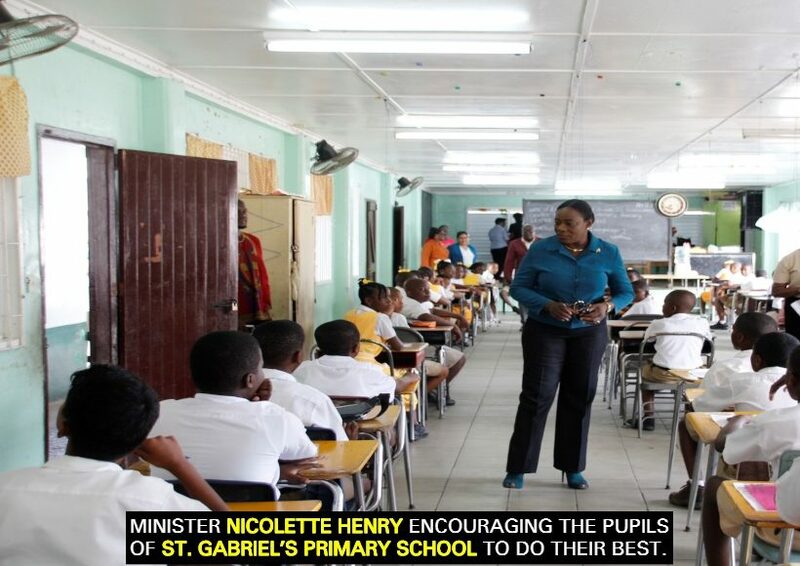 Following the visits, Minister Henry, during an interview with the press corps, said that, given the hard work that would have been done by the Ministry of Education, it is expected that the results will surpass all previous years. Minister Henry noted that based on the information provided to her by the technical officers in the Ministry, particularly the Chief Education Officer, she is of the view that the students are prepared for this year’s examination. According to Mr. Hutson, with the work done with teachers and students, he is confident that the Grade Six pupils are prepared for the examination. He said too that among some of the interventions this year were the mathematics camps, training for teachers and diagnostic examinations. Minister Henry expressed her gratitude to the Ministry of Education, the Chief Education Officer, and all the technical officers and the thousands of teachers across Guyana and the parents that did a lot of hard work with their children. Today, pupils will be writing English Language and Science. Tomorrow they will be writing Mathematics and Social Studies.